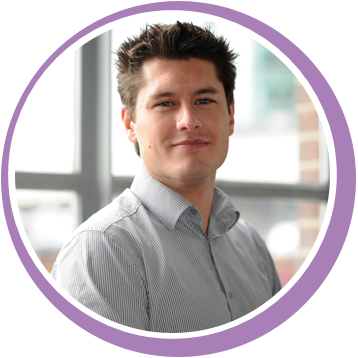 Anthony Barron is a Cardiology registrar carrying out a PhD in Exercise Testing in patients with a variety of heart conditions. Heart failure is common in cardiology patients and can be caused by a number of problems, such as previous heart attacks and valve problems. Any of these causes can limit a patient’s ability to exercise, however other conditions such as lung disease, anaemia, obesity can also limit exercise. 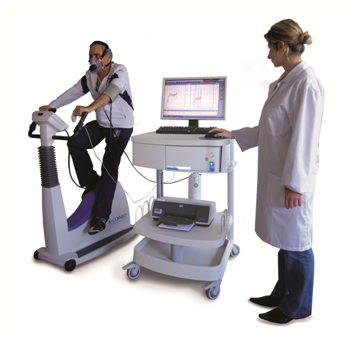 A Cardiopulmonary Exercise Test (CPX) is a stress test where the patient can cycle on a stationary bicycle or walk on a treadmill, whilst wearing a mask measuring their oxygen consumption. It is not always easy to identify which condition is causing the greatest problem to the patient. Numerous parameters are obtained from a CPX which can have a role in predicting benefits from certain interventions on the heart. ‘We aim, by testing patients before and after undergoing procedures on the heart (such as valve repairs and special pacemaker insertion), to identify the parameters of the CPX that are most sensitive and specific to cardiac dysfunction over other diseases. This will show us how we can use CPX for accurate follow-up of patients with multiple diseases, ensuring that we are able to focus on whether the cardiac condition is progressing without interference from other diseases on the test results’.